QUEBEC CITY, QC – June 1, 2016 – LeddarTech, the innovative developer of advanced LiDAR technology, reported today that Valeo, a Tier-1 supplier to automotive manufacturers, announced the addition of a new low-cost, solid-state LiDAR based on Leddar technology to its portfolio of driving and parking assistance solutions. The solid-state LiDAR, developed by Valeo, together with LeddarTech, will have no mechanical moving parts and will be the least expensive LiDAR sensor on the market. Thanks to its proprietary receiver ASIC with 16 discrete detection segments, the LiDAR sensor, powered by LeddarTech’s patented signal processing, will provide best-in-class sensing performance to accurately detect pedestrians, bicycles, motorcycles and cars. Its purpose-optimized optical system enables a detection range of up to 100 meters, which is also unique in this segment. This new solid-state LiDAR is part of the Valeo Intuitive Driving® initiative that aims to make cars easier to drive, smarter, and safer. As its field-of-view is easy to adapt, the new sensor can enable various functions from Autonomous Emergency Braking (AEB) to Right Turn Assist (RTA) features (for commercial vehicles). It can also contribute to automated driving functions, such as traffic jam assist or automated parking. The sensor works as well at night, in low light situations, and in adverse weather conditions, such as rain or fog. The collaboration between the two companies dates back to 2014, when Valeo selected Leddar technology and signed a cooperation and licencing agreement with LeddarTech. 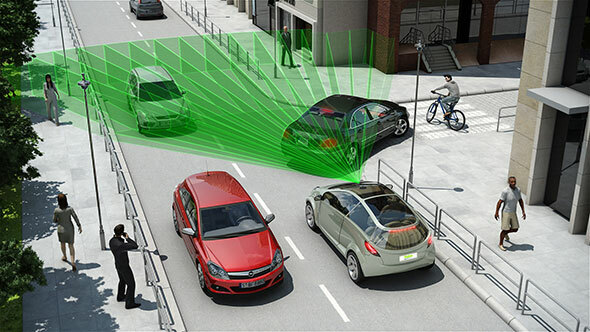 “This partnership brings tremendous value to the automotive sector, through the combination of LeddarTech’s unique LiDAR know-how and Valeo’s deep understanding of the automotive market’s dynamics as well as its global engineering, production and distribution capability,” explained Charles Boulanger, CEO of LeddarTech. LeddarTech’s business model allows integrators to benefit from the patented Leddar sensing technology, packaged into ICs, to develop a variety of highly differentiated LiDAR solutions aimed at multiple automotive applications. “Valeo has truly been a visionary and today benefits from this first-mover advantage. By bringing to market a proprietary solid-state LiDAR that is able to meet OEM requirements for mass-market deployments, Valeo positions itself as the clear market leader in automotive-grade LiDAR” added Boulanger. Founded in 2007 as a successful spin-off of Canada’s leading optics and photonics research institute, LeddarTech is the world’s only supplier of advanced detection and ranging systems based on patented, leading-edge sensing technology that performs time-of-flight measurement using pulses from infrared light processed through innovative algorithms, detecting a wide range of objects in various environmental conditions. Leddar technology is highly adaptable, serves multiple markets and comes in different formats, providing brand owners and OEMs with a solution that meets their needs while ensuring quick and simple integration. LeddarTech, the LeddarTech logo, Leddar, and LeddarCore are trademarks or registered trademarks of LeddarTech Inc. Valeo and any other third-party trademarks mentioned in this document are the property of their respective owners.